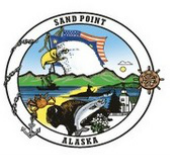 According to Sand Point's City Code, Resolutions and Ordinances that come before the City Council require publication at least five days prior to the public hearing of such matter. The first Council meeting in which a Resolution appears on the agenda constitutes a public hearing. It is also considered the first "reading" of the Resolution. In the case of an Ordinance, a "second reading" (or second time on the agenda) of the proposal enacts the required public hearing. There is no public hearing for the first "reading" of an Ordinance. This page will contain the Resolutions and Ordinances set for hearing by the Council and meet the required publication standard, in addition to posting around town (such as the Post Office, City Hall, etc). When a Resolution or Ordinance passes the City Council it will also be listed on this page for a minimum of 60 days. To view Resolutions or Ordinances prior to 2017, contact the City Clerk. Ordinance 2017-02: Amending Public Safety Ordinances to Clarify "Legal Guardian"